Every Child has the right to a full and productive life. It is up to all of us to ensure our children grow up in environments that build confidence, friendship, security and happiness, irrespective of a person’s family circumstances or background. We are all concerned about the safety of our children. The challenge of protecting children is everyone’s responsibility: parents, schools, communities, governments and businesses. Everyone has a role to play.  Macbeth International has partnered with Sec-Tech to offer such children services. Discover what Sec-Tech can do for you and your children.